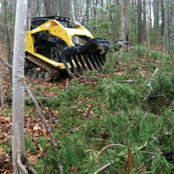 Montpelier Grading, LLC is a Virginia licensed and insured Class A contractor to do grading, dirt work, grading, excavation, trenching, driveway grading, drainage, clearing of brush and overgrowth, bush hogging, lawn renovation, storm clean up, naturalize wooded areas, grass cutting, landscaping, and mulch installation. 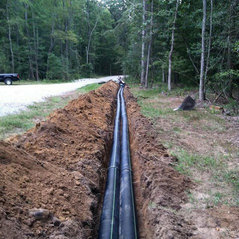 We work with all residential and business owners. No project is too small for Montpelier Grading! Montpelier Grading, LLC serves Richmond and the surrounding areas including Hanover, Henrico, Goochland, Mechanicsville, Glen Allen and the West End.